The reason I started this website was to shine a light on what makes Dallas such a fabulous city. We have many creative and talented designers and manufacturers right in our own North Texas backyard. Their contributions not only bolster our local economy, but impact our image around the world. Throughout the holiday season, I will be bringing you a series of posts called Shop Local giving you great gift ideas for under $250 from North Texas designers and retailers. Support local companies this season by considering their wares. 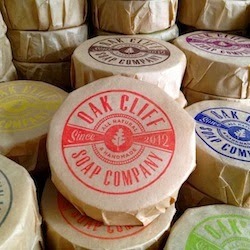 The uber-hip Hilary Walker over at Style Stories told me about Oak Cliff Soap Company. I am all about stuff that smells good. OCSC is perfect for all skin-types, crafted with essential oils, quality ingredients and love. How can you not love a product made with LOVE!? Scents include Aloe Oatmeal, Desert Sage, Lemmon Polenta, Oatmeal, Sandalwood, Almond and a Fragrance-Free bar. Owner Ariel Sandivar told me, "All of our soaps are handmade, natural and 100% vegan. Not tested on animals, only humans. ;)"
OCSC has the goal of empowering small businesses and fostering community projects. A portion of proceeds from their soaps goes to the Oil and Cotton Creative Exchange which provides quality education and artist provisions. Pick up a bar or three at Bolsa Mercado, Oil and Cotton, Opening Bell Coffee, Green Grocer and Sprouts. Have a history buff on your holiday list or need a gift for a reader who enjoys a good love story? 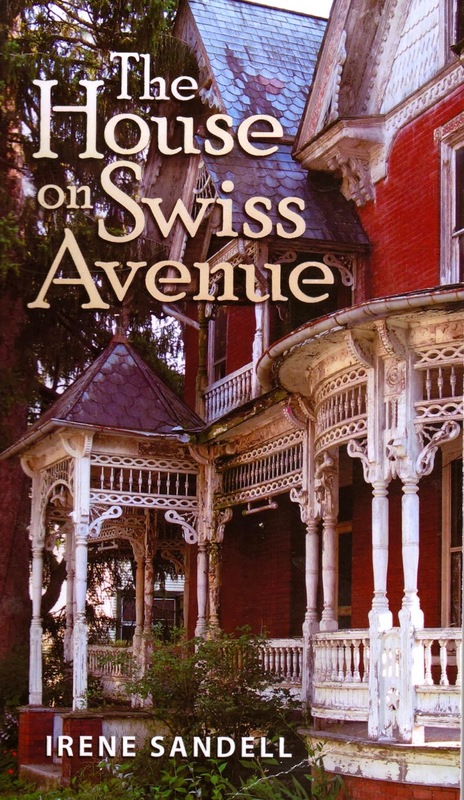 Plano author Irene Sandell has written The House on Swiss Avenue. It's a fun read with lots of notable Dallas places and faces you'll recognize. Synopsis? Robyn Merrill hopes that starting a new life in a new place will help to heal her broken heart, but the path she chooses and the people she encounters are not what she expected. Secluded in her family mansion, Adeline Sinclair has spent a lifetime devoted to memories and to the history of her family, only to question her choices in her twilight years. Her house on Swiss Avenue beings the two women together to unlock secrets that alter each of their lives, and help them make peace with the past and welcome the future. 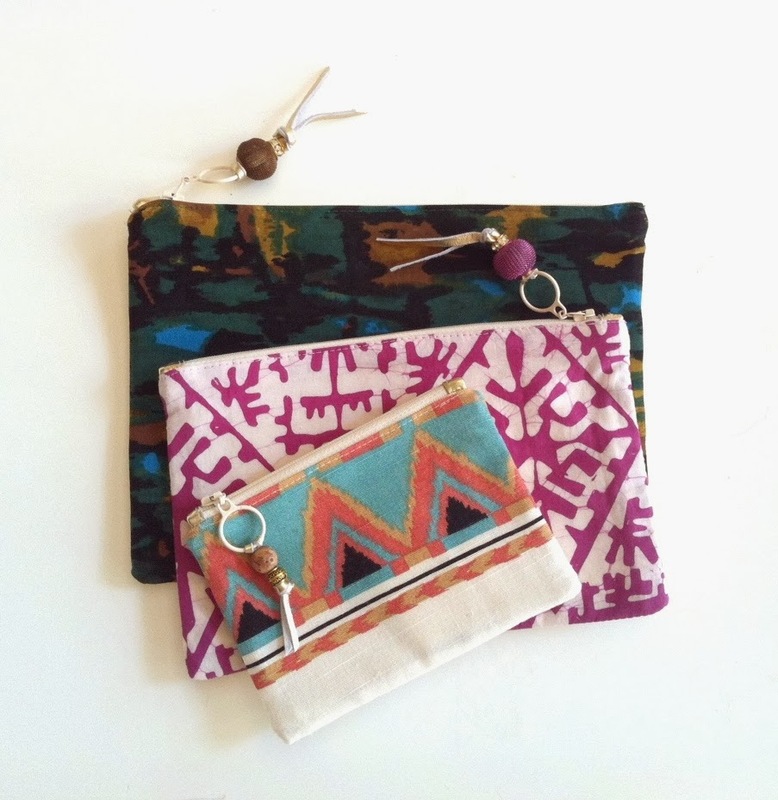 These zippered pouches come in three sizes and a wide array of colors and designs. Not only are they fashionable and functional - they benefit women in need right here in our community. GAIA Empowered Women creations are hand-made creations made with care by women in need in Dallas using vintage, repurposed or sustainable materials. Their mission is to empower marginalized women through employment, encouragement, and dedication to their long-term success in our own local communities. Through a living wage and continued training & development, our goal is to lead the women to financial independence and self-sufficiency. Shop online at www.gaiaforwomen.com or visit the following retail locations: Number One, Five & Ten, MADISON, Stanley Korshak, Neiman Marcus, Wisteria, Cabana, Gypsy Wagon, and Cotton Island. Pink Ribbon Puppies, Inc. was inspired when a Texas woman’s routine mammogram detected a suspicious mass in July 2010. The early stage breast cancer diagnosis was confirmed a week after breeding her Labrador Retriever and as much as she was looking forward to raising the puppies, it was decided that she should focus on healing and leave puppy rearing to a trusted friend. The nine yellow puppies arrived on September 8, 2010 and as a tribute to the battle their ‘other mother’ was fighting, the pups each wore a different color pink ribbon and the litter was dubbed the ‘Pink Ribbon’ litter. Early detection meant this woman's cancer was easily treated and their ‘other mother’ was cured by the radiation. 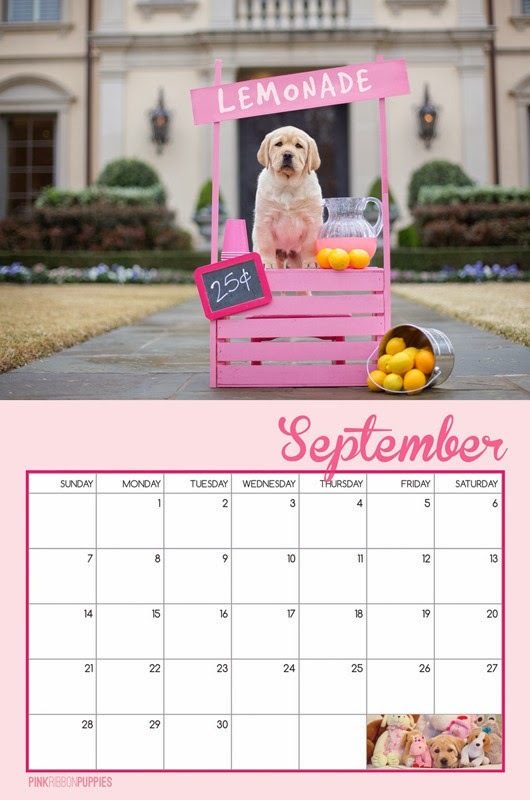 A 2011 calendar featuring photos of the "Pink Ribbon" litter was a huge grassroots success and the tradition continues!